One of those cars I wish I never sold. Working a temp job, trying to get enough money to go away to college (as I was presently in community college), I ran in to a guy on an assignment who noticed me driving my Mustang. 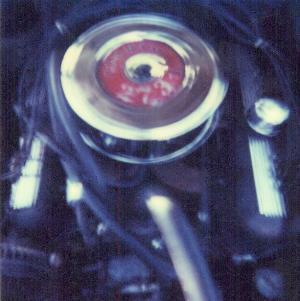 We began to talk about classic cars, and he mentioned that he had a 67 Barracuda that had been in his family since new, and he was going to put an ad in the paper in the next couple of days, because he had to sell it due to a divorce. I asked him how much he wanted for the car and he said $500. I assumed it was shot. I aksed if it ran. The answer was yes. 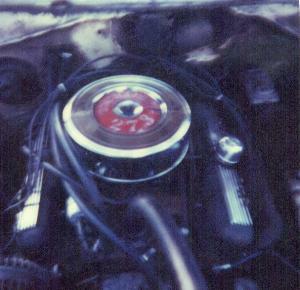 Ok, so a 67 Cuda that runs, it could fetch a grand (I figured I'd buy it, and do a quick turn around, make a few hundred) So, I asked him "I suppose its a 6 cylinder?". No, a V8. Wow. Hardtop or fastback? No, a convertable. By this time I thought he was kidding, but he wasnt. Like a poker player, I played it real cool. $500 huh? I might want to come take a look at it before you put it in the paper. Heres the sad part. I didnt have $500, and my parents wouldnt lend it to me for the deal of the century. I called my friend Ryan, and asked if he wanted to go halfs on a money maker. He said yes. We went to his house and looked at the old car price guide. 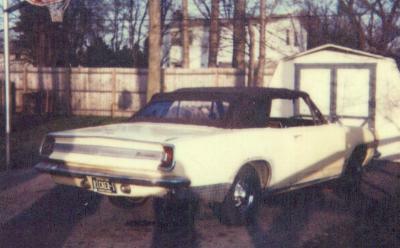 It said that the 67 Cuda convertible was worth about $1000 in its worst condition, and $1500 if it had a V8. We were set. A little asterisk noted that a Formula S convertible was among the rarest Barracudas ever made. Already amazed at our good fortune, we chucked at the idea of it being a Formula S, the same way you tell your friends you're holding the winning lottery ticket 10 minutes before the numbers are picked. The next day, we went over to go see it. The owner opened up the garage, and the car was rather dusty. We walked around sort of shushing the dust off it, as if we had a decision to make. We were buying it regardless, but a funny thing happened. We brushed the dust off an emblem that said "Formula S". I about passed out. This is the kind of thing you read about in HotRod. Some kid finding a hemi that an old lady wants off her lawn and sells it for $50. This was our lottery ticket. A 1967 plymouth Barracuda Formula S convertible. 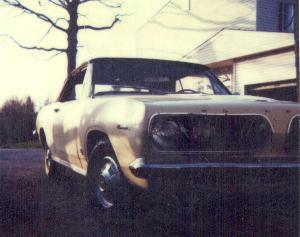 See, in 1967, there were about 62000 Barracudas made by Plymouth. Of those 62000, only 5352 came with the Formula S / 273 commando engine. Also, of those 62000, only 4228 were convertibles. The intersection of the 273 Formula S models and the convertibles is almost non-existant. You see, performance buffs who wanted the Formula S, generally ordered a hardtop or hatchback. People who wanted a convertable generally wernt interested in speed, and thus got a 6 cyl, or a regular V8. This had both. And we bought it for a song. Ryan and I took turns driving it for about 3 weeks. I then put a sign on it for $3500, and put in on my lawn. 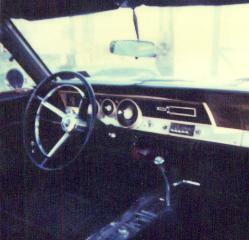 The first day it was out, someone came by in a 70's Barracuda, and offered me $3000. I took it, and he felt as if he stole it from me. Its one of those cars I wish I never sold. In hindsight, selling it helped me get to college, which has gotten me the cars I have now, so perhaps it was a good move. This was a pure find. Something, that if I wanted it back, I probably couldnt find it.